One of my roles at Coastline Bible Church is to lead our staff. There are a handful of ways to effectively do that. One of the ways I aim to lead our team is through our weekly staff meeting. Being a strategic thinker I want to have a plan and purpose for our weekly gathering. Another way of saying this is: "Don't waste your teams time when you gather." I wish I could tell you how many precious hours have been wasted in pointless meetings. There are people who are going to sit in a meeting you're leading this week and will be bored. A young, talented leader, will zone out and think about Instagram because of meeting failure. In fact, I heard that at Google if you're in a meeting and it doesn't pertain to you, you can freely leave the meeting at any time! One of the things our team has been working on is to be a team that prays effectively. Not just a team that prays randomly, but a team that prays will purpose. Last month I lead our team through a short devotion on prayer before we took time to pray for our church. When I first gave my life to Christ I couldn't wait to spend time in prayer. I would go to small group and pray with others. I would sit with others in prayer. I would pray in my car all the time. I would wake up before the sun came up just so I could spend time in prayer. As I became involved in full-time ministry and attended seminary there was a decrease in my prayer life. After having children it seemed like much of my prayer life revolved around sleep and children napping. I wish I could put a finger on what made that shift but I can't Even just this morning I read an article from a pastor who confessed a similar experience in seminary. If you look the Gospel of Mark you will find that Jesus work up very early to pray. Jesus didn't have to get up early. In fact, He had a busy night! We need to take the time to pray. Our relationship with God is a relationship. That relationship requires time to foster a healthy connection. Our team wants to be a team that prays and spends time with God in prayer! The next thing I shared with our staff is that we need to view prayer as a lifestyle and not an event. It seems like many of us are great at segmenting our lives. I've talked with people who live a completely different life in different circles. Some people have their church circle, their bike riding circle, their book club circle, or their discipleship circle. Fill in the blank for the different circles you have. These circles then play into the person we are in those circles. We segment our life and therefore pray is not a lifestyle but an event that takes place at our parents house before we eat dinner. Prayer becomes something we do with our kids before they go to bed because our spouse insists on it. 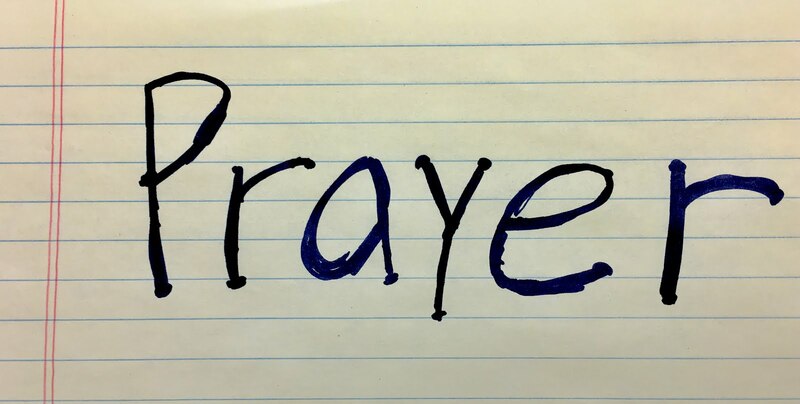 Imagine what could change in your life if prayer wasn't an event that you participated in but simply your lifestyle. Imagine if you had simple text message conversations with God throughout the day. Imagine if you set aside different times in your day to reconnect with God. See prayer is not simply talking to God, prayer also involves active listening. I've never met a person who instinctively knew how to pray. I have met many people who have felt insecure in their prayer life. I've met plenty of people who feared praying in front of others. I met people who would rather die than pray out in public. We all need Jesus to teach us to pray. The best way to learn to pray is to simply pray. You need to start somewhere. Ask someone to teach you to pray. Find a person, who you look up to, and ask them to teach you how to pray effectively. Find a book about prayer that fires you up to spend time with God and punch the devil in the nose. Instead of staying up watching TV, get on your knees and call out to the God of Heaven. Now stop reading this and start doing it. After talking through these three points our team took some time to pray for our community, our church, our leaders and our staff.